This is the simple orange cake drenched into the syrup and dressed up with cream cheese glaze. Actual recipe replaces oranges for rum in the cake batter and glaze. To make it non aloholic friendly cake I thought to use oranges instead of rum.The cake is known as Drunken cake because it is drenched in the citrus syrup.You can give any citrus flavour like lime,lemon,grape fruit to this cake.This is super delicious cake and I am sure that you're going to love it !! Sift the all purpose flour, baking powder and baking soda into one bowl.Keep it aside. In a large bowl, combine condensed milk, butter and sugar. Mix till the mixture is creamy. Add the dry ingredients into wet ingredients. Mix until you do not see any flour into the mixture, over mixing can make your cake very tough. 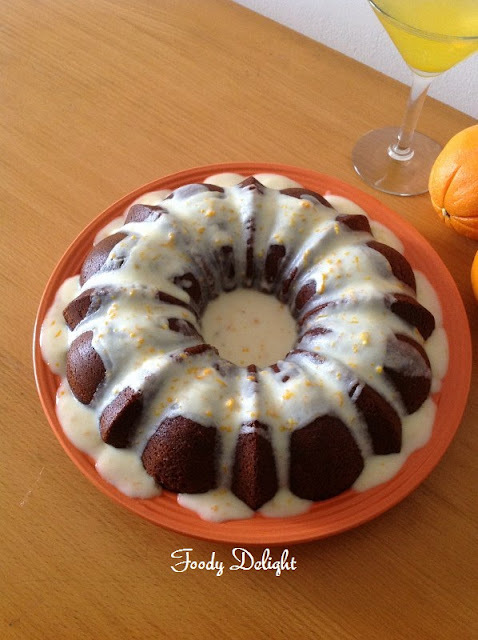 Transfer the cake mixture into the greased bundt cake pan. Bake the cake for about 35 minutes or until the cake crust is dark golden in colour. You can also check the cake,by pricking the toothpick into the cake, if the toothpick comes out clean then cake is done. Take out the cake pan from the oven and place it on the cooling rack.Let the cake cool down for about 20 minutes and then flip the cake onto the serving plate. Pierce the top of the cake with the toothpick or any thin skewer. 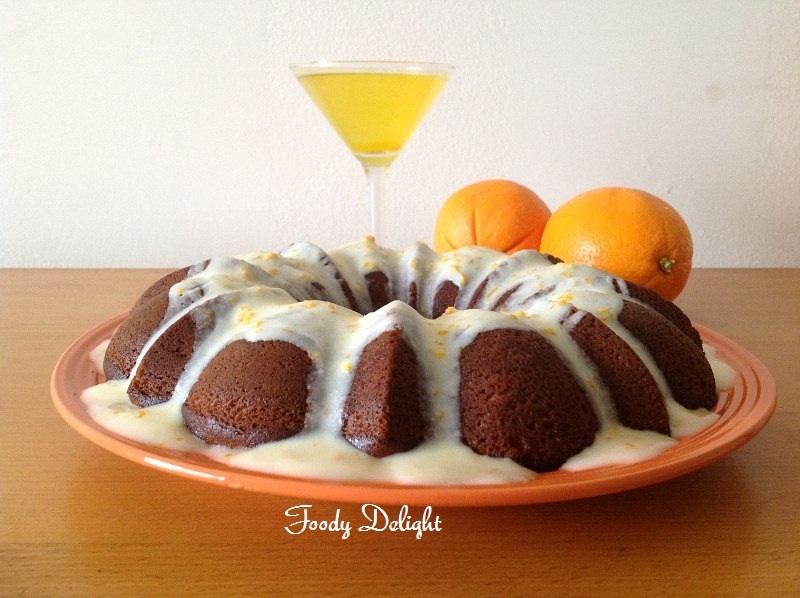 Pour the warm orange syrup all over the cake by using the spoon. Since the cake is soft and spongy, it will absorb more syrup. Do not add the syrup all at once,wait for atleast 5 minutes before you drench the cake for another time. Repeat this till you have used all the syrup. 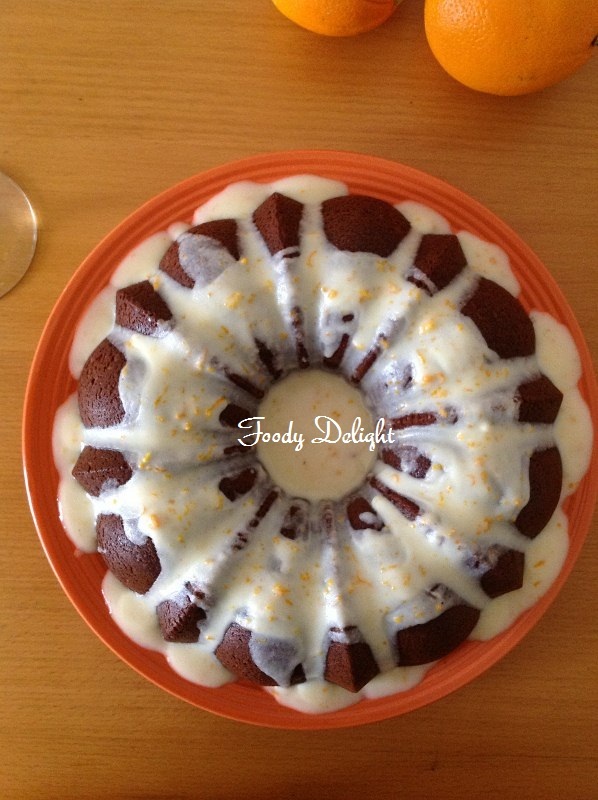 When the syrup is absorbed by the cake,drizzle the cream cheeze glaze all over the cake. Chill the cake before you serve. Combine all the ingredients into one pot and place it on the medium flame. Bring the mixture to the rooling boil and turn off the flame. 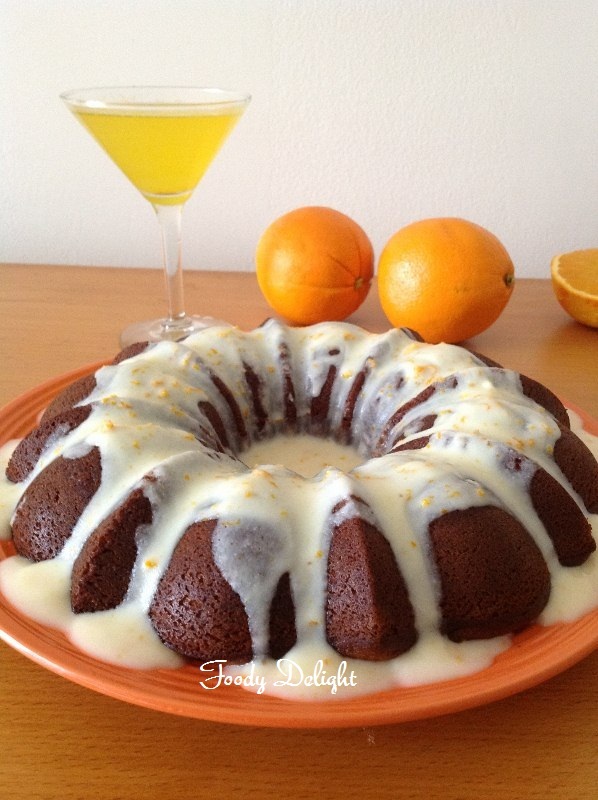 Use the warm syrup while pouring onto the cake. Combine all the ingredients into one wide bowl and beat till the mixture is smooth. You can add more milk to get the right pouring consistency. Why drunken orange? Looks very tempting..
Hello... The name because this cake is fully drenched in the orange flavored syrup. wow dats a beautiful and yummmy cake !!! 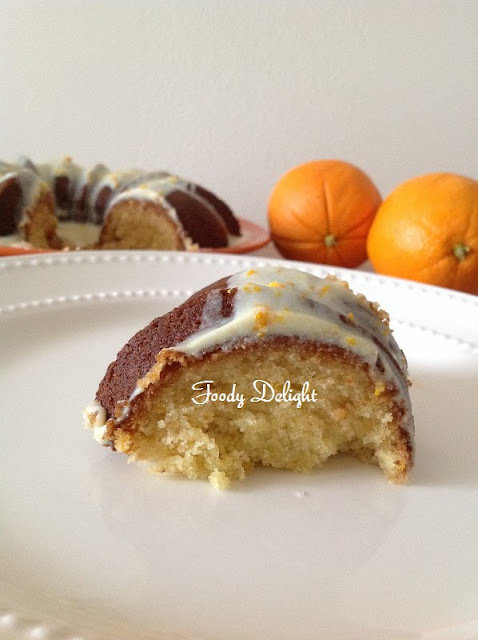 Awesome glaze and yummy flavors in cake! Wow, this looks delicious! Making my tummy rumble now! I used this recipe in hopes of it coming close to the Sara Lee Orange cake. It was my father's favorite cake and was discontinued. This recipe definitely was a hit!!! Thank you!